Got a Salty Tongue? New Study Says It's Not So Bad! Blog posts, articles, videos and more can be found in the Edible Rx column. Do you like hearing facts about children and family nutrition, or the truth about myths, maybe the latest thoughts on dieting and eating style than this is the place for you. I want to bust myths, minimize misinformation, and neutralize negatives. Stories that incite fear are appalling, whether they come from websites, popular media, health professionals, television or anywhere else. Keith prides himself on sharing information with his readers and clients that educate and make a difference. In this industry there is a lot of hype but not always a lot of science or facts to back up some stories. Keith breaks down the latest nutrition news into easily digested useful tidbits. Nobody does it better. If you want to know more about Keith Ayoob, just turn on any TV or open any consumer magazine. Often sought for his analysis of tough issues, he’s been a trusted food and nutrition go-to source for 20 years. Keith-Thomas Ayoob is one of my favorite nutrition experts. I covered diet and nutrition for USA TODAY for more than 30 years, and during that time, Keith was one of my regular go-to sources for stories. I really admire the way Keith can take complex science and distill it into practical, user-friendly information, and I also appreciate that he thoroughly researches topics before he offers insights on them. He’s clever, smart and delightful to work with. Simply put: He’s the best. 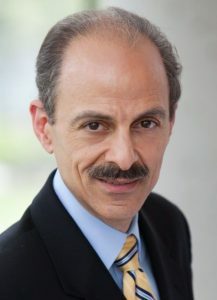 I have worked with Dr. Ayoob in many capacities over the past 20 years – media spokesperson, corporate consultant, scientific advisory board member and more. One of his greatest contributions has always been his ability to use his decades of nutrition science expertise to filter new information and translate it into real-people speak without mincing words. For this reason, his new website could not be more aptly named. The combination of Keith’s passion for the science underlying food and nutrition issues, along with his ability to assess their practical implications and then communicate to consumers in ways that are engaging and useful make him one-of-a-kind in our profession. He is a joy to work alongside!